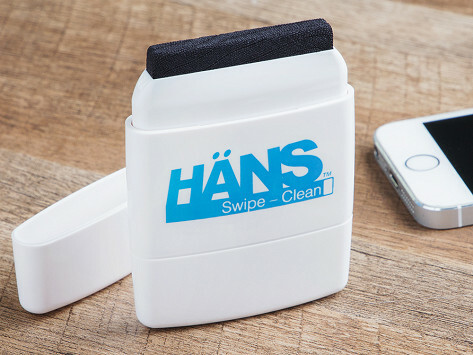 This dual-sided screen cleaner lifts off grease and grime from your devices in a few visually-satisfying swipes. Use the saturated cleaning sponge to thoroughly remove dirt and germs, then the delicate microfiber cloth for a streak-free finish. When the cleaning solution runs lows, refill. Easy to use and really does the job. Was purchased as gift. Works very well. Was used to clean laptop screen, with no problems, wiped on quickly, easy. It really cleans the screen off well and dries it off immediately with the other side. I've been very pleased with the results. Keep computer, phone, and tablet screens squeaky clean with a few swipes.